​Everyday, right here in Columbia, South Carolina, Richland County our youth are facing issues that could take their very life. Summer isn't here yet, already we have lost too many young black men and women to street violence. This is an ALL CALL for BLACK MEN. HOW MANY MORE MUST DIE, BEFORE YOU GET INVOLVED? Females you can attend but this meeting is totally directed and designed for the BLACK MAN. 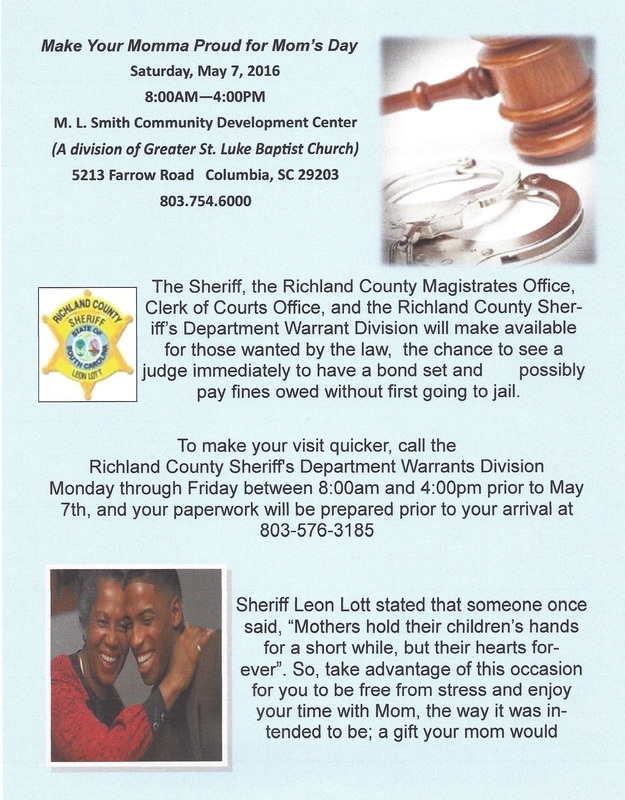 ​Richland County Sheriff's Department will be informing us about a one day warrant forgiveness program.